Iran’s enemy the Saud family, was the main funder of the 9/11 attacks. 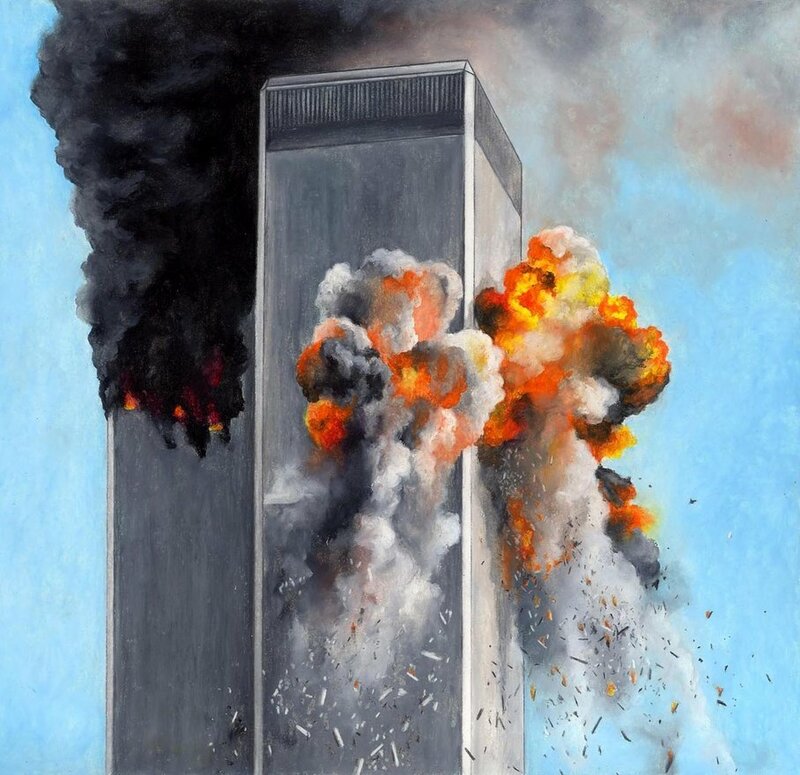 None of the 19 alleged 9/11 terrorists was Iranian; none was even a Shiite, at all; 15 of them were Saudis, and all 19 were fundamentalist Sunnis; Al Qaeda is (so far as is known) a 100% fundamentalist-Sunni organization. extremely few Americans had basic intelligence — a basic ability to reason logically from the best existing evidence regarding a given matter. The best existing evidence made unequivocally clear that Bush was either catastrophically stupid or else catastrophically evil (or both), but his job-approval numbers just soared, instead of shrank. This was an enormous failure of our schools to teach basic critical-thinking skills, and also a failure by America’s press to control in the right way the public discussion about what had happened, a failure by its editors and producers, their failure to demand a focus on the key question: Which of the two possibilities — fool, or fiend — is the U.S. President and Commander-in-Chief? After a catastrophe like this, there needs to be accountability; but, instead, Bush’s job-approval soared. Nobody was asking: What type of catastrophic leader is this? Not the media; no one. All U.S. institutions of supposed authority failed. What the Politico story documented is that President Bush had instructed his staff to keep away from him the key intelligence officials (except, of course, in situations where they couldn’t have in-depth private discussions with him about what the facts are and what the options and likely consequences are for him in order to address the emerging situation). That, alone, means his complicity. 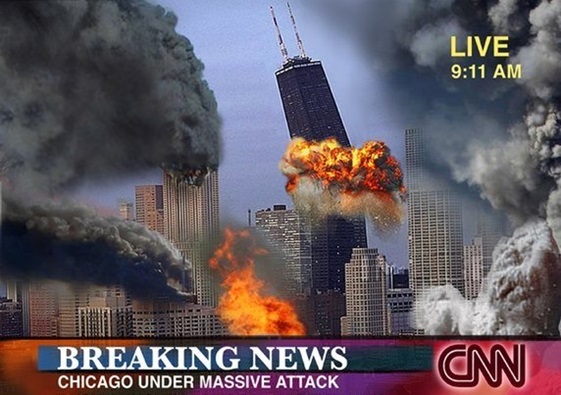 CIA Agent Confesses On Deathbed: ‘We Blew Up WTC7 On 9/11’ By Baxter Dmitry [Note - Please read the comments below, which indicate that the author of this article has a dubious history of "False News"--Baxter Dmitry is a writer at Your News Wire. He covers politics, business and entertainment. Speaking truth to power since he learned to talk, Baxter has travelled in over 80 countries and won arguments in every single one.] July 14, 2017 "Information Clearing House"
79-year-old retired CIA agent, Malcom Howard, has made a series of astonishing claims since being released from hospital in New Jersey on Friday and told he has weeks to live. Mr. Howard claims he was involved in the “controlled demolition” of World Trade Center 7, the third building that was destroyed on 9/11. Mr. Howard, who worked for the CIA for 36 years as an operative, claims he was tapped by senior CIA agents to work on the project due to his engineering background, and early career in the demolition business. Trained as a civil engineer, Mr. Howard became an explosives expert after being headhunted by the CIA in early 1980s. Mr. Howard says has extensive experience in planting explosives in items as small as cigarette lighters and as large as “80 floor buildings.” The 79-year-old New Jersey native says he worked on the CIA operation they dubbed “New Century” between May 1997 and September 2001, during a time he says the CIA “was still taking orders from the top.” Mr. Howard says he was part of a cell of 4 operatives tasked with ensuring the demolition was successful. 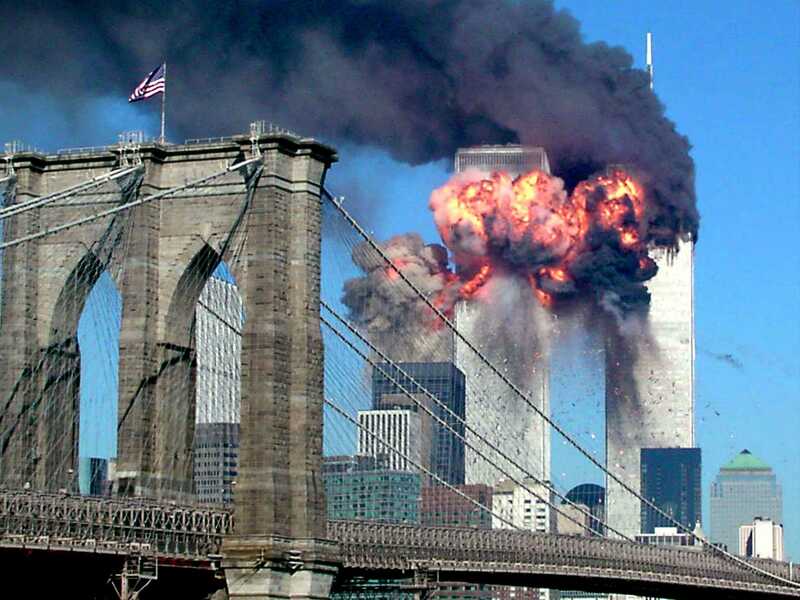 Many countries including Britain, France, Germany, Italy, Japan and Monaco launched insider trading investigations in the wake of the 9/11 attacks, believing that if they could prove Al-Qaeda operatives profited on the stock market then they could prove the terror organization was behind the attacks. And all the evidence pointed to heavy insider trading around 9/11. "Canadian Television Openly Questions 911 'Problems'" "For four months I've been waiting in vain for the North American media to pursue questions about the startling events of September 11th. Here's what I want to know"
Chomsky Interview Why did this happen? "Global Eye--Gainspotting" the Afghan war isn't "just about oil," it's also about drugs; 11/30/01 article from The Moscow Times reveals that the Northern Alliance is "one of the world's biggest drug-dealing operations"
"Guilty for 9-11: Bush, Rumsfeld, Myers" "The sabotage of routine protective systems, controlled by strict hierarchies, would never have been contemplated let alone attempted absent the involvement of the supreme U.S. military command"
"..even though fifteen of the nineteen hijackers had been Saudi citizens -- the relatives of the number one suspect in the terror attacks were allowed not only to just up and leave the country, but they were assisted by our own authorities!" (Michael Moore. Dude, Where's My Country?. NY: Warner, 2003: 4). "..not only has the family NOT cut ties to Osama, but they have continued to fund him..." (9). "..the bin Ladens have had business relations with [the Bush] family.. for the past 25 years" (6). "Prince Bandar 'ated $1 million to the George Bush Presidential Library and Museum in Texas" (12). "A major chunk of the American economy is built on Saudi money. They have a trillion dollars invested in our stock market and another trillion dollars sitting in our banks" (13). "Why have [Bush] and [his] father chosen to align [themselves] with a country that is considered by most human rights groups to be among the worst and most brutal dictatorships in the world?" (14). "Who attacked the United States on September 11 -- a guy on dialysis from a cave in Afghanistan, or [Bush's] friends, Saudi Arabia?" (15). "If fifteen of the nineteen hijackers had been North Korean, and they killed 3,000 people, do you think the headline the next day might read, "NORTH KOREA ATTACKS UNITED STATES"? 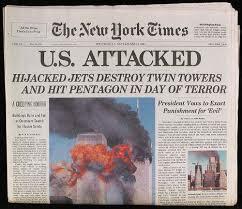 "Yet, when it comes to September 11, have you ever seen the headline... "SAUDI ARABIA ATTACKED THE UNITED STATES"? "..so the question must--must--be asked: WHY NOT? Why, when Congress releases its own investigation into September 11, you, Mr. Bush, censor out twenty-eight pages that deal with the Saudi's role in the attack?" (17). "..traveling by air was forbidden in the days following the attack" (19). "Yet, members of the bin Laden family were allowed to fly in private jets, crisscrossing America as they prepared to leave the country... twenty-four members of the bin Laden family... were all flown to Paris, out of the reach of any U.S. officials... the FBI was "furious" that they were not allowed to keep the bin Ladens in the country to conduct a real investigation... none of the normal procedures were followed" (Michael Moore. Dude, Where's My Country?. NY: Warner, 2003: 20). 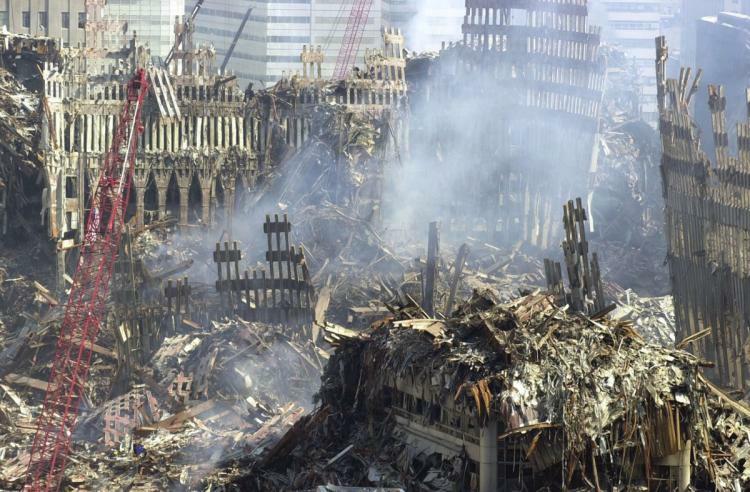 The criminal frame for what happened on 9/11 is the liberal or progressive frame. The war frame is the radical right's frame. Notice what each frame involves. "Calling for war instead of mere justice has given the conservatives free rein" (67). "Expect any serious opposition to Bush's policies to be called traitorous" (George Lakoff. ''t Think of an Elephant! Know Your Values and Frame the Debate: 68). "If U.S. intelligence agencies did not see the attack coming it was because they were told not to look.. the Bush administration blocked key investigations into allegations that top Saudi Arabian royals and some members of the bin Laden family, not just Osama, funded and supported Al-Quaeda and other terrorist organizations" (Greg Palast. The Best Democracy Money Can Buy. NY: Plume, 2003: 92). "FBI agents had wanted to check into two members of the bin Laden family.. but were told to stay away by superiors" (98). "Khan Laboratories.. investigators had been tracking the funding for this so-called "Islamic [nuclear] Bomb" back to Saudi Arabia, under Bush.. the inquiry was stymied" (100). "..the terrorists we are hunting today were trained and armed by the Reagan-Bush administration" (Greg Palast. The Best Democracy Money Can Buy. NY: Plume, 2003: 103). "Congresswoman McKinney.. cited our [BBC and Guardian stories about Bush protecting the Saudis] on the floor of Congress, calling for an investigation... She was labeled a traitor, a freak, a conspiracy nut and "a looney" -- the latter by her state's Democratic Senator, who led the mob in the political lynching of the uppity Black woman... She.. suggest[ed] that President Bush might have known in advance about the September 11 attacks but had 'e nothing so his supporters could make money in war... Dan Rather had warned her, shut up.. She didn't and it cost her her seat in Congress. "McKinney's electoral corpse in the road silenced politicians [and] the media" (Greg Palast. The Best Democracy Money Can Buy. NY: Plume, 2003: 105-106).